Culture-Based Neuropsychological Therapy for depression and anxiety disorders. Price: £250 to include lunch. A member of RSM, BPS, BACP, BACIP, NHS, BABCP, and CHCC; a trainee/student; and a person with past or current links to Health City gets 70% discount* (Excludes any other discount advertised). Call 0333 800 3006, 0333 789 0012 or Book Now (end of this page). Those of us who have read resources such as ‘Mental Health, Race and Culture by Professor Suman Fernando (2010), would agree that a good understanding of a patient’s cultural background and active beliefs linked to their health condition could enhance a better treatment outcomes. The term ‘race’ since WW2 and the UNESCO (1950) declaration is now a social concept and not a biological one (Omi and Winant, 1994) that refers to ‘a group of people who share similar and distinct physical characteristics’ (Wikipedia, 2016). Culture used to be seen as ‘shared patterns of belief, feeling and adaptation which people carry in their minds’ (Leighton and Hughes, 1961: 447)’. It used to be thought that culture was only ‘passed on through families and personal interactions’. But we know now that when ‘a group of people’ connect ‘together in a working environment or family or community’, a new ‘culture’ of that group is born along food, music, ethnic, religious, linguistic, political, professional or trade communities. Therefore, ‘migration, ease of communication, and travel’ is creating fluid, integrating and disappearing ‘boundaries between cultural groups’ and also creating hybrid (mixed) culture of individuals. Example, of the plus ‘one million’ out of the 9.1 million people who identify as ‘minority ethnic’ in England and Wales, consider themselves as ‘mixed ethnicity’ (Economist, 2014; Rogers, 2011), with hybrid cultures’. The term ‘ethnicity’ builds on ideas within both ‘race’ and culture, but with a personal dimension indicating a sense of belonging to a group real or (more often) imagined (Anderson, 1991). ‘Culturalism’ similar to racism’ (Bauman, 2011) may develop, where patients who identified themselves or are identified by other people as ‘different’ may be treated by other people or perceive themselves (develop cognitive beliefs) as if they are actually different (likely inferior) ‘races’. ‘This racialisation’ ‘applies to asylum seekers, refugees, poor people’, Muslims and patients from areas of low socio-economic mobility of even wealthy cities’. Racialisation in talking therapies (CBT inclusive) and mental health context may increase our awareness of how negative beliefs linked to real or imaged ‘discrimination and oppression’ may be perpetuated ‘in various settings and guises as continuity from the past of racism (or casteism)’ that transforms itself to suit ‘circumstances, economic advantage and personal inclinations’. This training looks at how practitioners of psychological therapies and psychosocial care may develop the skills to understand, formulate and treat some culture-bound psychological disorders for the benefits of patients. This training is very practical using case studies and practising this approach in groups. What the workshop covers? Revisiting the understanding of culture, ethnicity, and race as they relate to the neurobiology of the human brain, cognitions, emotions, behaviours, mental health and talking therapies (CBT inclusive). Cultural competencies and culture bound syndromes/disorders. Applications to talking therapies (CBT inclusive)-cultural approaches to formulating and treating physical pain, depression, low self-esteem, trauma, anxiety disorders, etc. What this course will do for you? The training covers a wide range of neuropsychological therapy (inclusive of CBT) of culture bound anxiety and some other psychological disorders. The combination of lecture, case studies (video/ audio analysis) and role plays significantly help to develop attendees’ skills and knowledge and provide an effective and cost efficient investment in your professional development. Trainer: Caroline is an accredited cognitive behavioural therapist, clinical supervisor and trainer. She is a registered mental health nurse and has worked as a Community Psychiatric Nurse and as a Community Mental Health Specialist Lecturer at City University London. 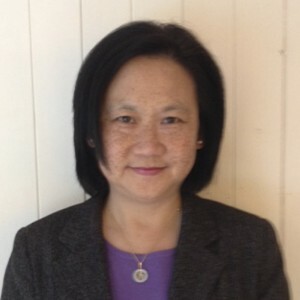 Caroline is a co-founder of the Chinese Mental Health Association, set up in 1992. Caroline also extends her therapy work to the Chinese Communities. She is a Specialist Therapist and a trainer at Health City.